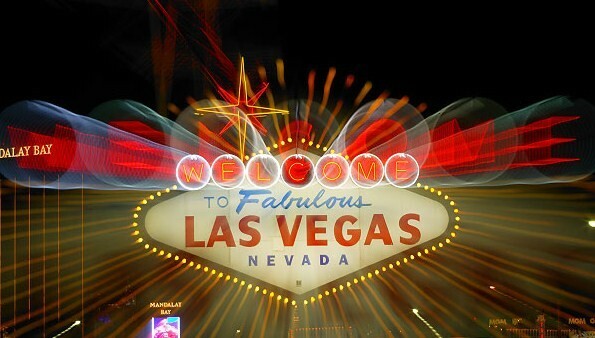 LAS VEGAS – Once a politician, always a politician. 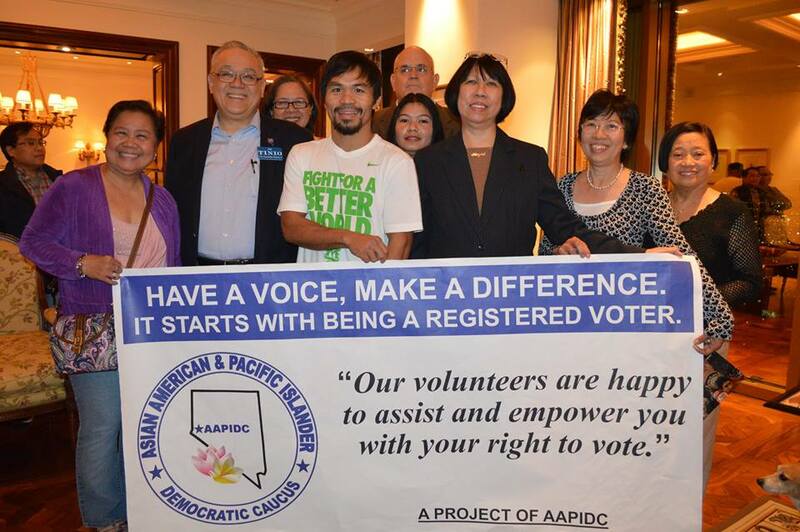 Manny Pacquiao took time off from his hectic preparations for Saturday’s title match with Timothy Bradley to meet with the Asian American and Pacific Islander Democratic Caucus, a political group with many Filipino-American members. Sporting a t-shirt that reads: Fight for a better world!, theSaranggani congressman endorsed the group’s efforts to register more Asian Americans and Pacific Islanders for the June primaries and elections ahead. “To have a voice in the political process, you have to register and vote,” Pacquiao told the group. In 2010, Paquiao was credited for harnessing the Filipino-American vote in Nevada for Democrat Sen. Harry Reid, and allowed him to beat Republican Sharron Angle in a close election. Reid, who retained his majority leader post in the U.S. Senate after the bruising victory over Angle, a darling of the Tea Party, acknowledged Pacquiao’s help by inviting the Filipino boxing icon to his Washington, D.C. office. Also in 2010, Pacquiao meet with President Obama in Las Vegas. However, Paquiao, a potential senate candidate in the Philippines in 2016, has not shown any preference for the Democratic Party. “We’re so grateful to Manny Paquiao for inviting us to his private suite,” said Rozita Lee, a long-time leader and advocate in the Filipino-American community of Las Vegas. “He wanted to endorse the AAPIDC and mention the importance of voting in the AAPI community,” said Lee, a member of the White House Commission on Asian American and Pacific Islanders. Pacquiao, who arrived to tumultuous welcome from Filipino-American fans on Monday, will go up against Bradley in a 12-round bout for Bradley’s WBO welterweight title, which the American captured in a controversial split decision in 2012.